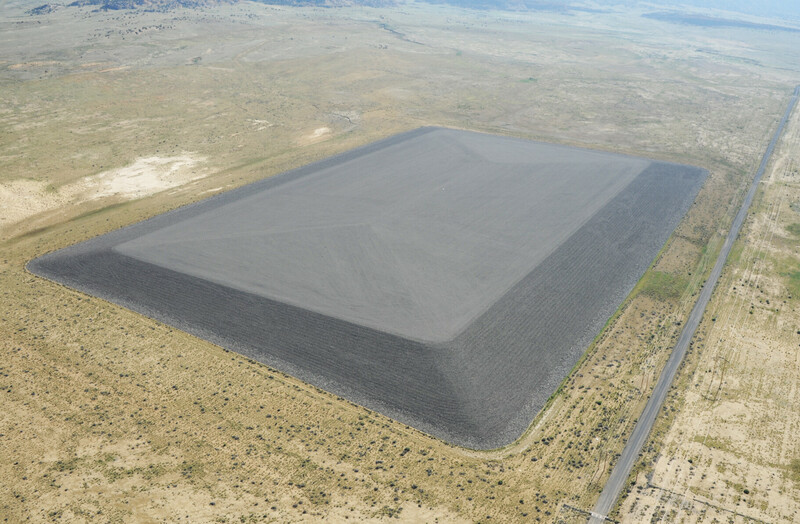 Inside this geometric mound, with a skin of coarsely crushed rock, is a demolished uranium mill and its radioactive tailings. 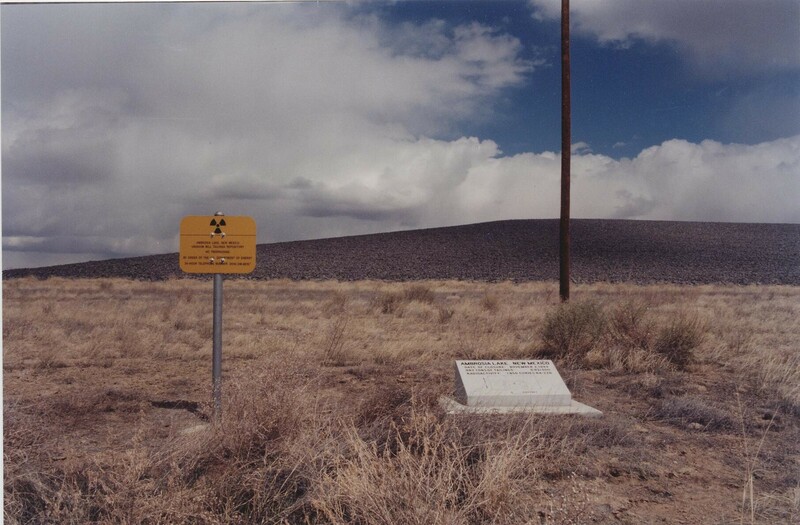 The mill was buried in 1992 by the Department of Energy, one of around 20 uranium mill tailings sites in the US that were remediated as part of the Uranium Mill Tailings Remedial Action Project (UMTRA). The site covers approximately 196 acres of this remote valley north of Grants, New Mexico. 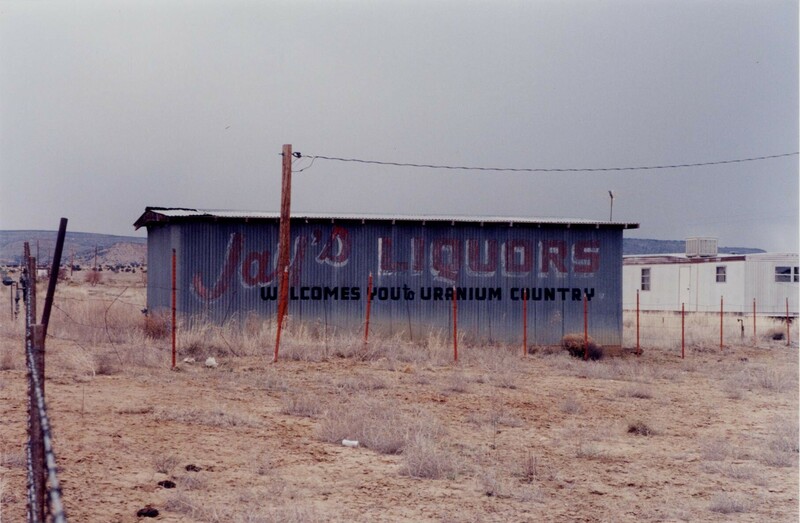 The uranium mining district around Grants was the most productive in the nation, operating from the 1950s to the 1980s. The mill at this site was built in 1957, operated by the Phillips Petroleum Company. It was later bought by the United Nuclear Company. As at some other UMTRA sites, the DOE has installed carved granite warning monuments (resembling tombstones) near the fenced entrance to the mound.